TASCHEN is honored to present Murals of Tibet; one of our most ambitious books to date and a landmark project that has been a decade in the making. 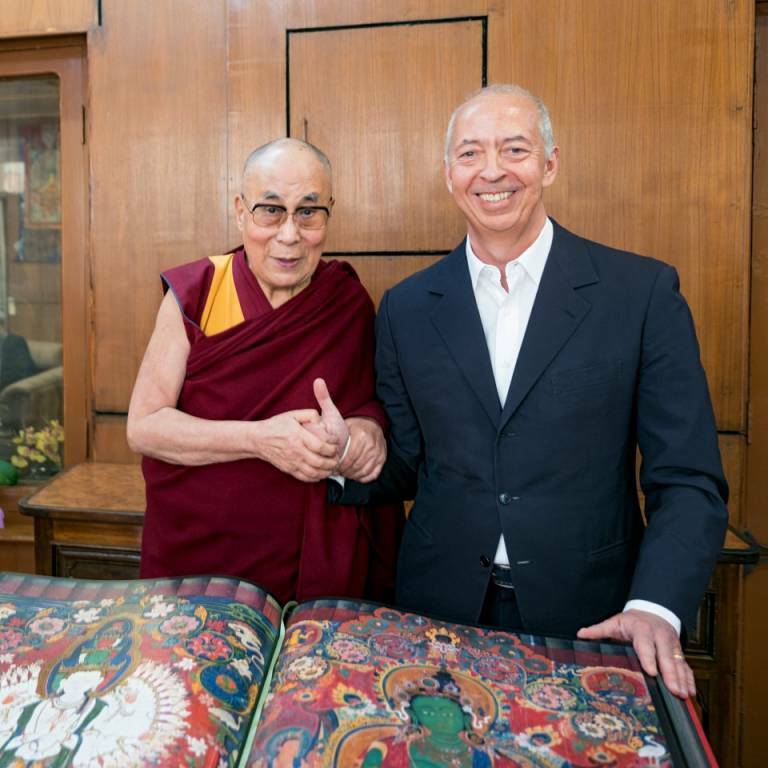 On March 9th, 2018 Benedikt Taschen traveled to Dharamsala, India, to give the very first copy of this collector’s edition to His Holiness the 14th Dalai Lama. For a millennium, Tibetans have painted murals to transmit the Buddhist practice of mindfulness, compassion, wisdom, and other ideals. These astonishing artworks, many housed in sacred sites accessible to only a few devout monks, weave one of the most important—and until now hidden—threads at the core of Tibetan Buddhist culture. Murals of Tibet assembles hundreds of the last remaining paintings from a dozen major locations across Tibet in life-size resolution for the first time. The photographer Thomas Laird travelled Tibet for over 12 years with a mission to conserve the spiritual, emotional, and historical significance of these mostly unseen masterpieces. Breaking through the temples’ lighting restrictions and other logistical challenges, Laird developed a photographic stitch technique that allowed these works to be captured in exquisite detail by shooting hundreds of individual frames. This laborious task resulted in the first life-size mural reproductions from Tibet, and made what had been previously invisible now visible to the world. Each copy of Murals of Tibet has been blessed and signed by His Holiness the 14th Dalai Lama. 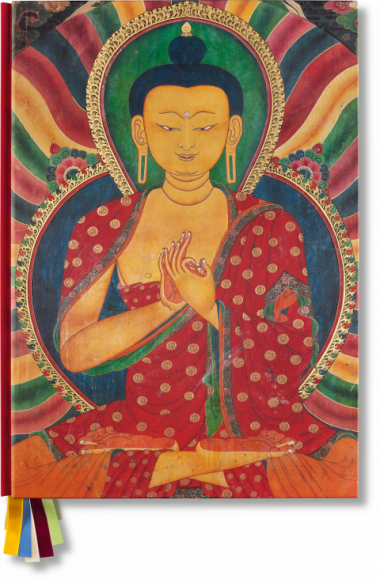 As a symbol of gratitude, TASCHEN made a donation to the Mind & Life Institute on behalf of His Holiness. Mind & Life’s mission is to integrate science and contemplative practices. The foundation funds research that examines how the brain, health, and human behavior can be transformed by meditation. The Institute advocates responding to the challenges of life with less anger, more resilience, and more compassion. For the Dalai Lama, this path is important for humanity, our survival, and the future of our planet. Many of these murals will vanish in the next few centuries despite the best efforts to conserve them, and some of the murals captured in this landmark publication are already gone. This book, however, will last and be treasured for generations to come.